Experience as a Flashlight: When I finally finished my education and settled into earning a living, I was confronted with some big decisions about retirement. Did I want my employer to withhold Social Security and did I want to set up a retirement account? I also was pursued by insurance agents who wanted me to start contributing into an insurance annuity. All those decisions seemed irrelevant to my life that moment. It’s not that I didn’t think I would ever reach retirement. It’s just that I was getting settled down into the long haul that would be my job career. I had lots of bills to pay, a wife and a house to take care of. There were so many things more immediate for me to concentrate on. After my divorce I was on my own for awhile, and then after many years married again. This was a happy marriage and together my wife and I worked towards having a comfortable retirement. I saw her retire and enjoy herself commenting once “It’s so amazing. I don’t do any work and at the beginning of the month, an amount of money shows up in my bank account.” Unfortunately, she passed away before we could spend our retirement as planned. By then I was beginning to anticipate retirement and eventually switched my investment portfolio from growth to just income. 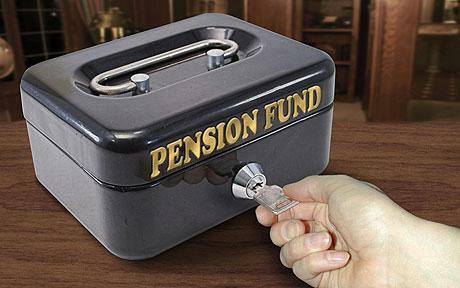 I wanted to protect my pension as much as possible from risk. As retirement came within sight, the pension came to the top of my priorities list. And now, of course, I carefully watch my pension statements each quarter to see how much money is left. And I take notice when the politicians talk about doing something to Social Security. What seemed so far off moved too quickly into my present reality. What I put away all those many years is now coming back to me providing for my material needs while I remain out of the workplace. It’s a blessing from this vintage point to see how the sacrifices of those early years have paid off in my later years. For any young person my story illustrates that the future eventually arrives and planning a pension is not just a wise decision, some day it pays off. This entry was posted in Accomplishment, Aging, Contentment, Enjoyment, Fear, Focus, Happiness, Life, Money, Orderliness, Perseverance, Perspective, Priorities, Retirement, Wisdom, Work and tagged Aging, attitude towards work, Fear, Identity, Pension, Perseverance, Retirement, Trust, Worry. Bookmark the permalink.